At the heart of things, core/kjarni in Icelandic, could be the flexible movement Mireya Samper’s spiral. By illustrating this perpetual movement, the spiral represents both the path to the infinite and the path towards the interior, towards oneself. It is the Ariadne’s thread of this exhibition of the Icelandic artist presented at Apollonia. 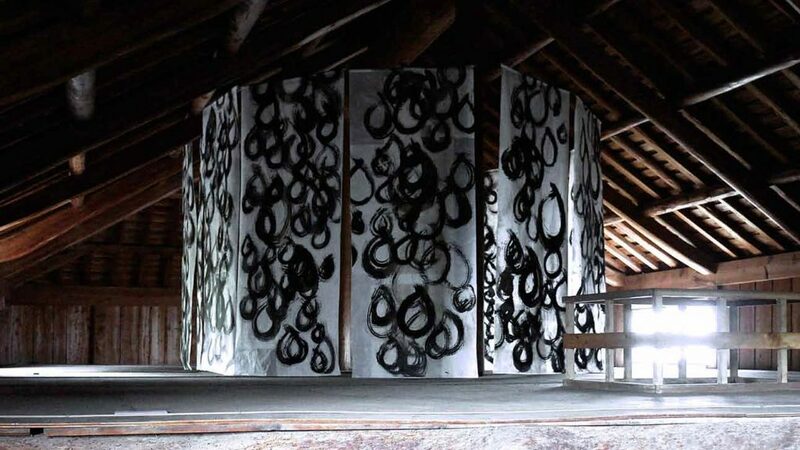 Undulating between the inner and the outer, the spiral takes on several forms in her work. It maintains close links with the musical rhythm of the mantra, but also with the wave breaking over the surface of the water. 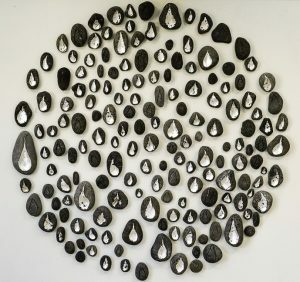 Water is a vital part of the life cycle, and consequently appears as a harmonious expression between the works, linking spirals and drops… Drops of water, the other essential element of the exhibition, emerge either sculpted in Icelandic volcanic pebbles, or traced dancing on wax paper. 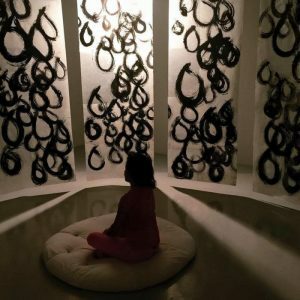 By participating in the unveiling of a unique artistic approach, Apollonia becomes the ideal setting for the deployment of the contemplative dimension of Mireya Samper’s creations. 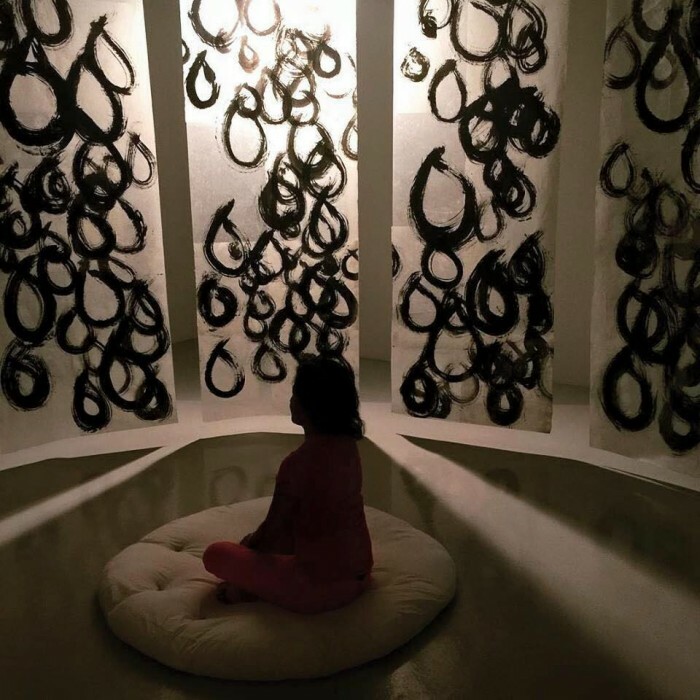 Among them, Source – Pluvial, one mind (2014), the centrepiece of the exhibition, and Family Bounds, a unique work created for the garden, both induce true introspective meditation. The Kjarni exhibition, which is presented after a residence of several weeks, arose from close contact with the local population, community life in the neighbourhood and Apollonia, as well as from close collaborations with Robertsau enterprises like the LANA paper mill. It is thus deeply rooted in the values and questions that animate Apollonia since its creation. 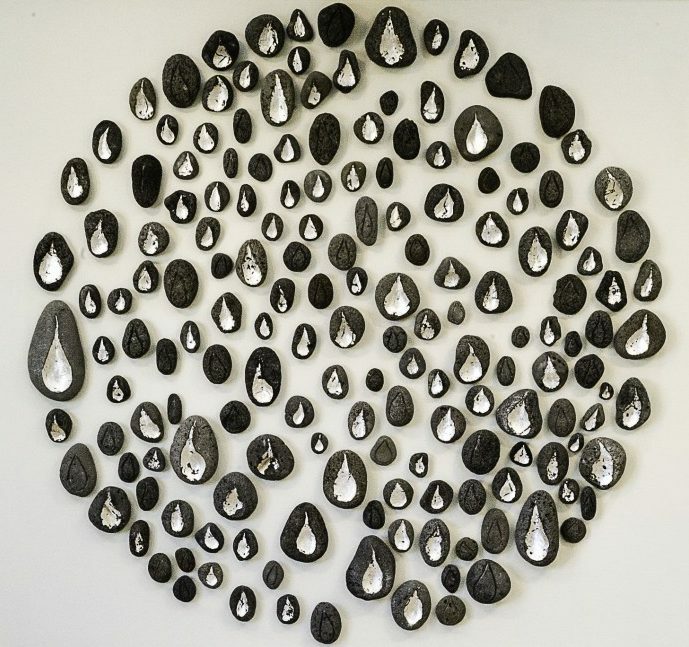 The exhibition is part of Papier en Fête, an event that takes place every year in June throughout the Robertsau. * The artworks produced during the residence were made from paper generously offered by LANA Paper mill. 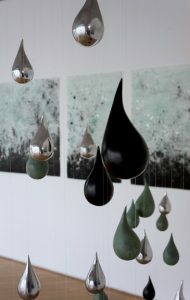 The artist would like to thank Lasse Brinck, Fabienne Stadler, Pascal Blot and all the team of LANA. * The project is part of Artecitya, supported by the Creative Europe programme of the European Commission.